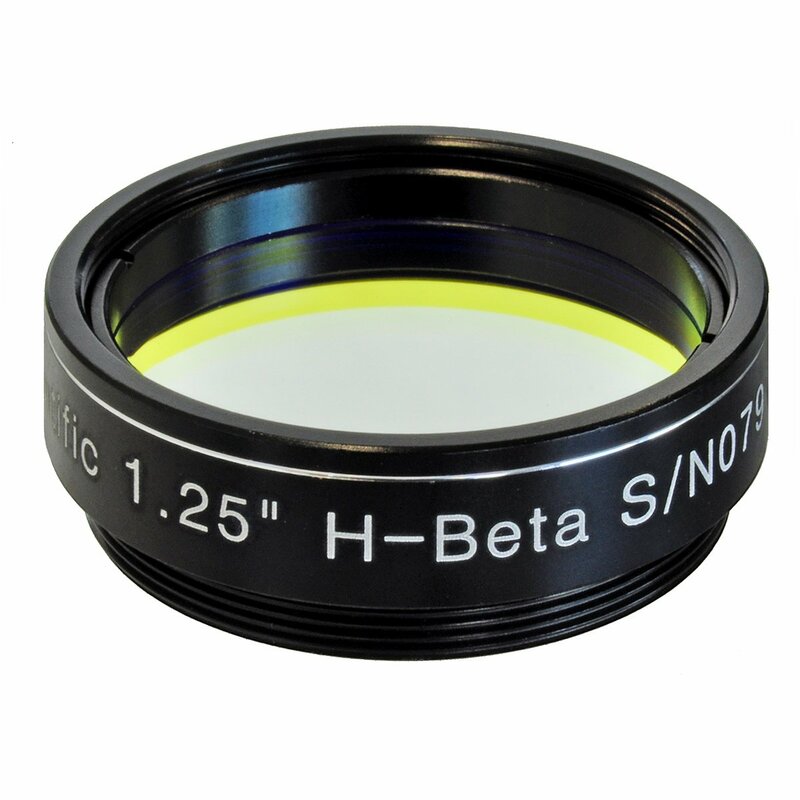 Explore Scientific 1.25" Hydrogen-Beta Narrowband Filter. Range from 478nm to 496nm with peak at 489nm. Peak transmission 94.5%. Item # 310235. 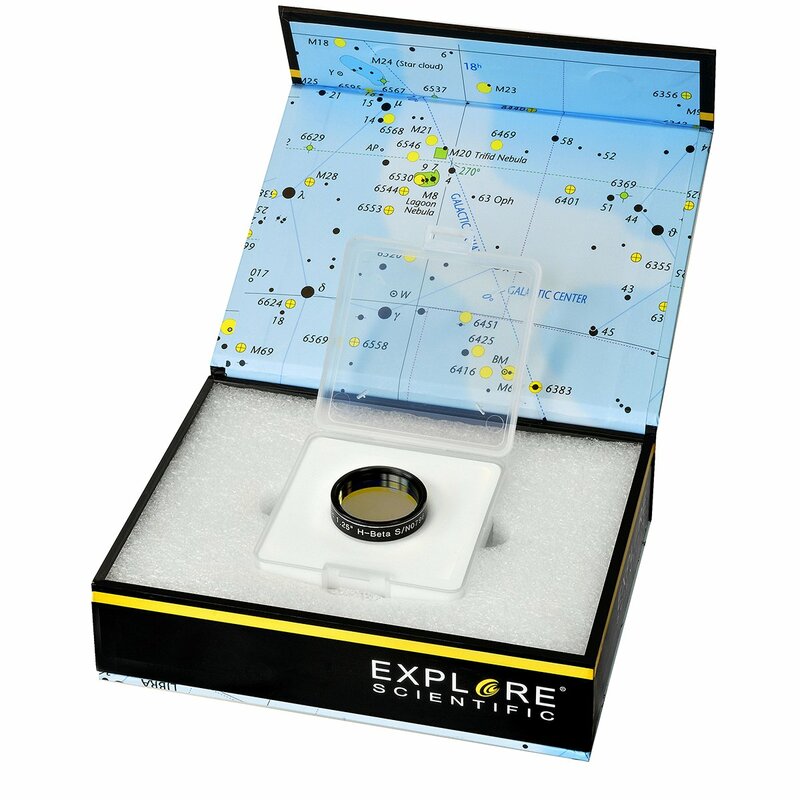 The Explore Scientific H-beta filter uses a characteristic property of the so called emission nebulae. Those objects glow in special colors, the so called emission lines. Those emission lines are linked to chemical elements - in this case Hydrogen. The Explore Scientific H-beta nebula filter blocks all other colors (and thereby nearly all of the artificial light) and only the emission line of hydrogen can pass the filter. The result is astonishing: suddenly nebulae are visible at locations that were completely empty without filters. In suburban skies for example, the Horsehead Nebula is almost not visible with a 300mm telescope. By using this filter you can see the nebula and its structure without problems. A must for every visual observer. 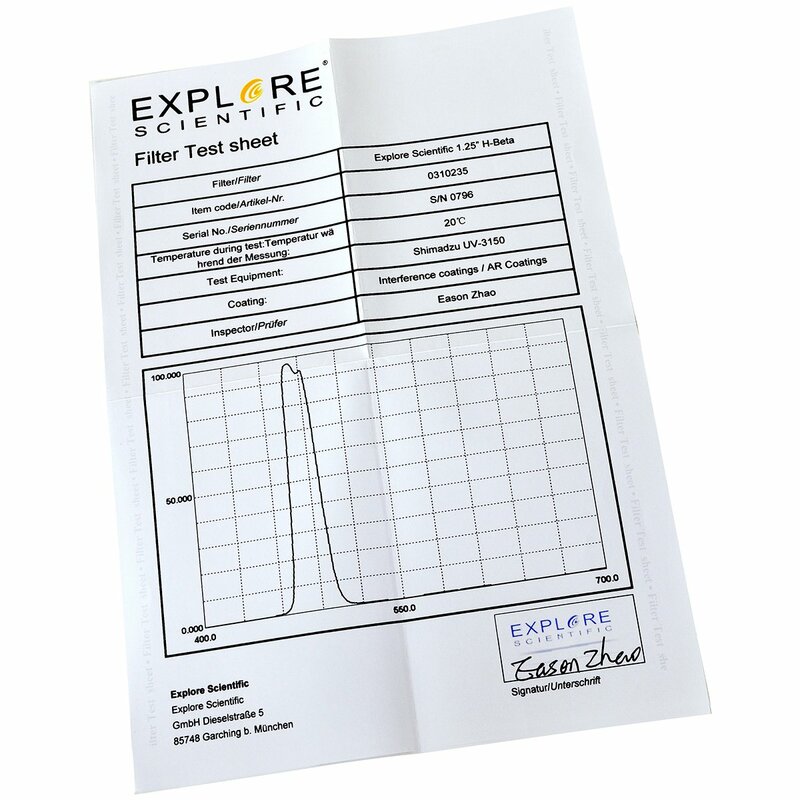 The Explore Scientific filters come with a individual test certificate - your guarantee to receive a premium filter.